Fully-customizable,Easy-to-edit Industry-compliant Insurance Templates in ipages and Word formats. Companies are required by law to insure their employees once they are regularized. This is important for the health and well-being of every worker especially ones that are working in hazardous environments. This is necessary to ensure your company’s employees are well taken cared of and productive at the same time. At Best Templates, we recognize the need for companies to have insurance documents for their employees and the need to facilitate such process as swiftly as they can with ready-made insurance documents. As required by law, companies have necessitated the need for their employees to enrol in health-care plans that their respective companies have chosen as their insurance provider. This is so that each one is covered depending on the agreed-upon limits of coverage that may include the employees’ spouses and dependents. Before each employee is eligible, however, some guidelines have to be set and technicalities covered and explored to limit the company's liabilities as well as protect the insurance companies from false claims. Depending on how large a company is, it can offer a comprehensive insurance package that includes medical, dental, prescription medicine, and even vision coverage for the eyes. This will cover all benefits for eligible employees. In most countries, this means that employees who have been employed for an average of six months are eligible for health insurance and other benefits. Cost - This takes into account an employee’s coverage which takes into consideration whether he or she is full-time or part-time, the kind of insurance plan the employee would like to avail of, and the dependents that are being covered. Date of Coverage - Most companies require their employees who are already eligible for insurance coverage to be enrolled within 30 days of eligibility and the coverage will become effective after 30 days of enrollment. Enrollment - Some companies offer voluntary enrollment for insurance coverage and this is just part of employee requirements that give flexibility for those who deem it necessary depending on their plan on how long they intend to stay at their company of employment. Additional Information - This may include the insurance company's employee health-plan guidebook details and other concerns including those medical conditions that are not eligible for coverage. At Best Templates, we recognize how important it is for both the company and employee that the guidelines for coverage will be comprehensible. 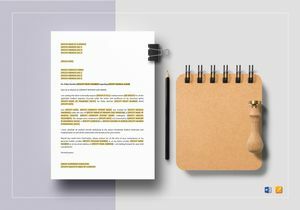 That’s why we created the Insurance Documents for Employees templates that are Fully Customizable, Easy to Edit and Modifiable in most commonly-used software applications, particularly in iPages and Word formats for Easy Downloading and Customization. 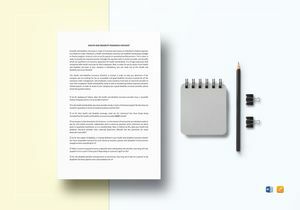 What’s more, our templates are very affordable and Readily Shareable both Online and On Print. This way you can get Easily Organized, Communicate Better and Improve Productivity. With our templates, you get a smooth flow of operations that’s not hampered by too much time-consuming reproduction of documents every time an employee gets enrolled in comprehensive insurance plans offered by the company. At Best Templates, we take care of all your needs immediately with less time and easy accessibility at a very low price.